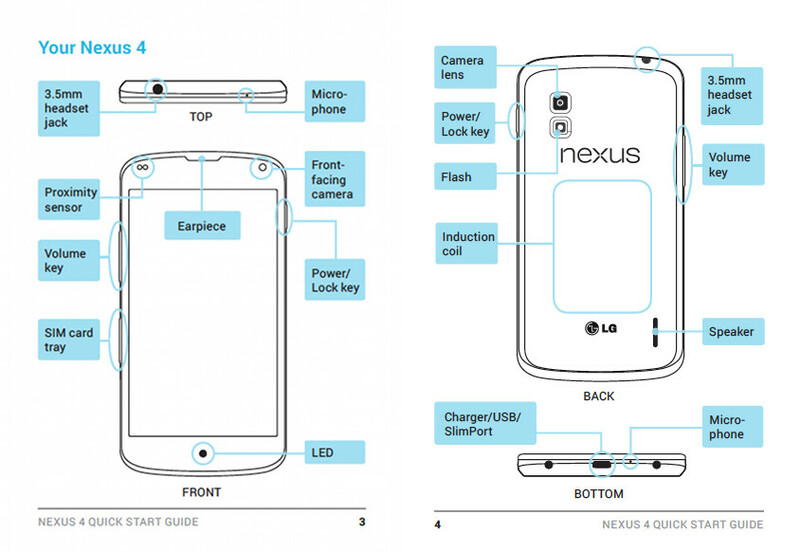 On Friday night, LG posted up quick start guides for the Nexus 4 (LG-E960), confirming that it will come in both 8GB and 16GB models. Along with storage confirmation, there is a mention of wireless charging, which will be built in, rather than an add-on through an accessory (Yay!). We also get full tours of the device, like the location of the notification light (same as the Galaxy Nexus), all switches, the 8MP camera, microphones, etc. Unfortunately, due to Hurricane Sandy, this phone will no longer be unveiled officially tomorrow in NYC. Google has yet to announce a new date for another event, but if they plan on doing it in NYC still, it could be a few days (or a week) as the hurricane will likely stick around for a while. Cheers Adam, Tim, BaldyPal, and brad!